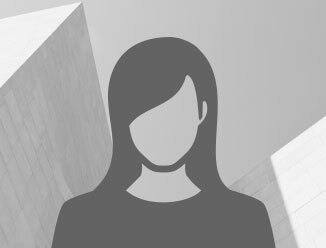 Elizabeth Constantine is an Assistant Real Estate Manager in Asset Services. Ms. Constantine assisted in the opening preparations of the newly constructed 477,899 SF Ernst & Young Office Tower located in Cleveland, OH. She now assists in the subsequent day-to-day operations of the 19-story office tower. Her duties include financial analysis and reporting, tenant relations, accounts receivable, accounts payable, contract services, and purchasing. Ms. Constantine works closely with maintenance, security, and other separately managed entities within the development.Ms. Constantine joined CBRE as a Real Estate Services Administrator in August 2011 and was responsible for 1.5 million SF retail mall, strip center, and office building located on the west side of Cleveland, OH. Her duties included: tenant relations; lease administration; analyzed financial reports and reported property variances; formulated annual expense recoveries; prepared annual budgets; reviewed tenant sales reports, calculated percentage rent billings and tenant quarterly water billings; managed accounts receivable and accounts payable. In addition, she coordinated with consultants for the marketing, utility readings, and insurance claims reporting for the property. She assisted with the transition and due diligence during the property sale. Prior to joining CBRE, Ms. Constantine spent over three years as the Lease Administrator for RMS Investment Corporation. She was responsible for lease administration in her portfolio; assisted with preparing financial reports, property audits and budgets; and assisted and directed the accounts receivable and accounts payable departments. Ms. Constantine’s career began in residential property management with Chestnut Hill Realty in Providence, RI. Johnson and Wales University, Providence, Rhode Island. Bachelor's degree in International Business.